Gener8tor, a startup accelerator whose programs have taken place exclusively in Wisconsin up to this point, took a key step forward in its expansion into Minnesota this week. The University of Minnesota’s technology transfer arm, known as the Office for Technology Commercialization (OTC), says it has formed a partnership with Gener8tor in an effort aimed at spinning startup companies out of research conducted at the school. Mark McGuire, managing director of Gener8tor’s Minnesota programs, will serve as entrepreneur-in-residence at the Venture Center, a wing of the OTC that’s focused on startups, according to a news release. He will also be an executive at the Discovery Capital Investment Program, which is part of the Venture Center. In 2015, Discovery Capital invested a combined $1.1 million across three early-stage companies, which also collectively received $9 million in outside financing, the Minnesota StarTribune reported. One of McGuire’s responsibilities will be raising private funding to supplement the investments Discovery Capital makes in university startups, he says. Jay Schrankler, who directs the OTC, says that Discovery Capital could invest in more or less than three startups each year. It also maintains a “pipeline” of ideas that could be turned into companies, he says, and there are about 30 ideas in the pipeline at any given time. The structure has been in place since 2014, when a plan to create a $50 million venture fund affiliated with the university that would have invested in companies across the country was scrapped, Schrankler says. In June, Gener8tor announced it was planning to open a Minnesota office and run programs there. Gener8tor plans to enroll its first class of Minnesota startups in mid-October, McGuire says. They will participate in a program known as gBETA, a six-week, equity-free accelerator for early-stage companies. McGuire says that gBETA participants are not required to be businesses that have already incorporated, though many are. Participants in the first gBETA Minnesota program do not necessarily need to be affiliated with a college or university in the state, McGuire says. That has been the case with the five classes that have graduated from gBETA Wisconsin. McGuire says the only requirement is that the startup has “Minnesota roots,” meaning one or more of its founders live there. “But I also want to be slightly broader here in Minnesota. Some of this is a way for us to experiment with a model, and continue to learn and refine. We like to take our own medicine. We often preach, ‘Test, iterate, and learn.’ This is a way we can continue to do that in our own programming as well,” he says. 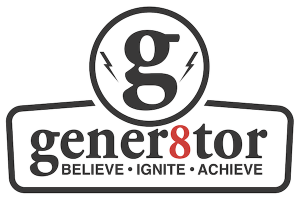 Gener8tor in November announced it had partnered with the Wisconsin Alumni Research Foundation (WARF), which manages intellectual property for the University of Wisconsin-Madison.